We are excited to present – Sweet Escape Cottage - often chosen by families looking for a great getaway! 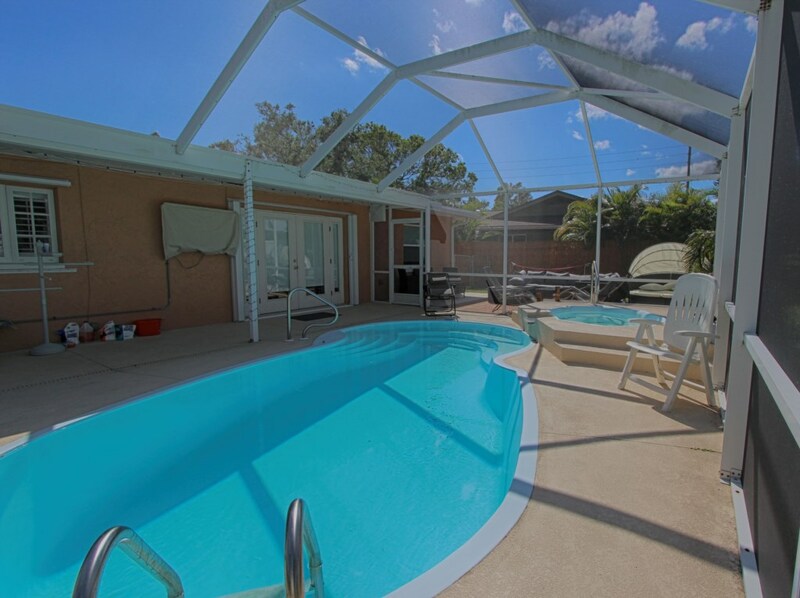 Sweet Escape Cottage is a great vacation cottage for you and your family. 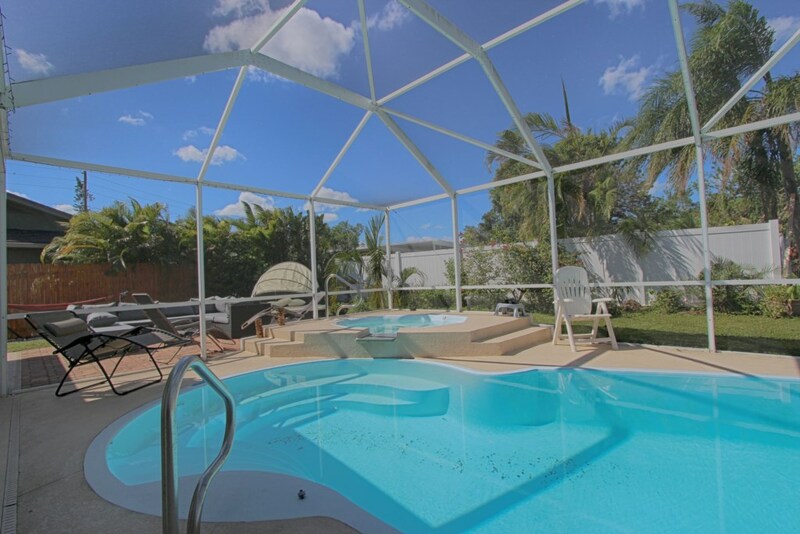 This nicely appointed property has a beautiful pool, and a landscaped (and fenced) backyard. 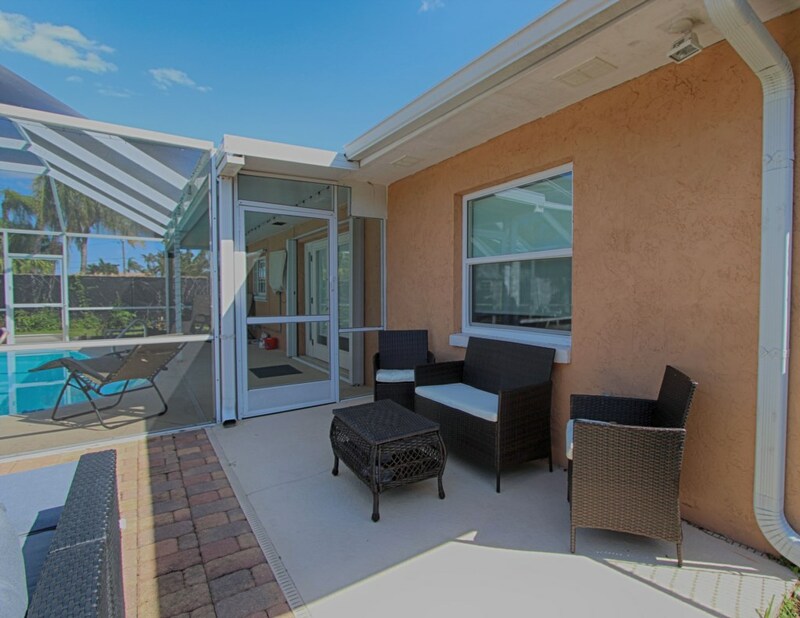 Great for small family groups that want to enjoy the beach, and all the Indian Rocks Beach has to offer. Beautifully decorated with the colors of the sea to relax and enhance your visit to the beach. 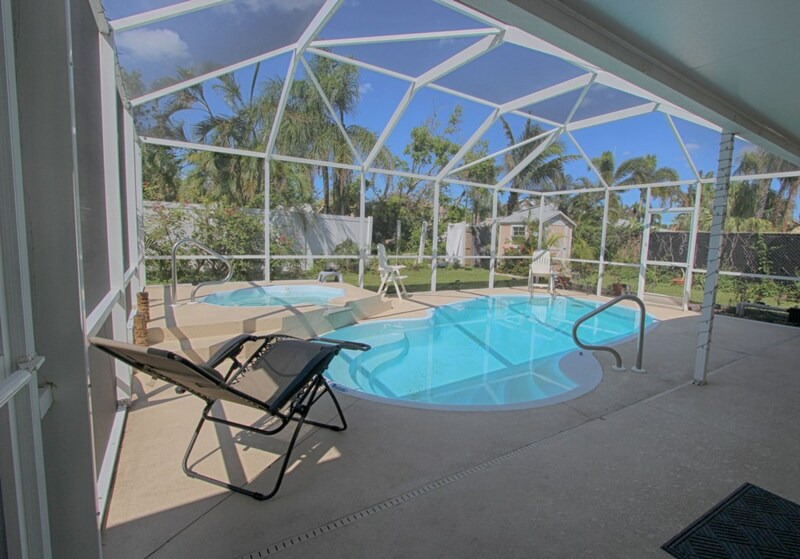 This awesome beach cottage offers plenty of room to stretch out with 3 bedrooms sleeping 12 guests. 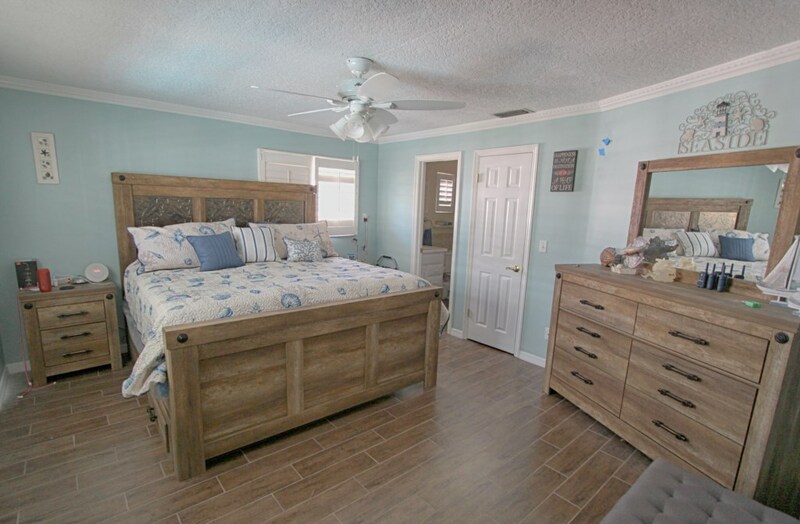 The master bedroom offers a King size bed with an ensuite bathroom. 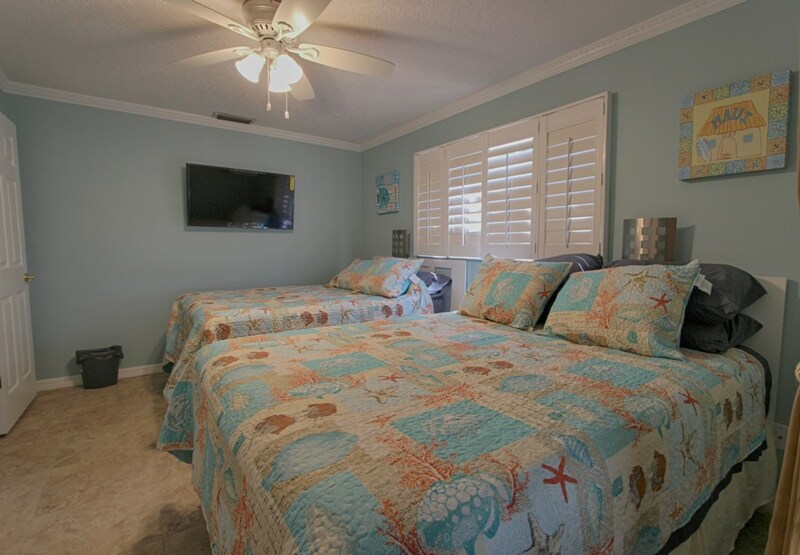 The second bedroom offers a Queen size bed and the third bedroom offers two Queen size beds. The second bathroom is located between two bedroom and it has a shower/tub combination. 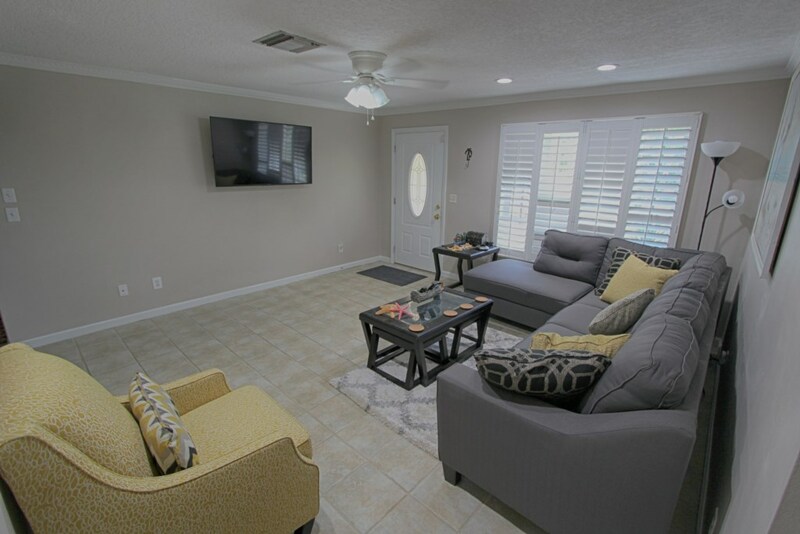 The living area features a pull out couch and there is a bonus area that also has a second pull out couch. 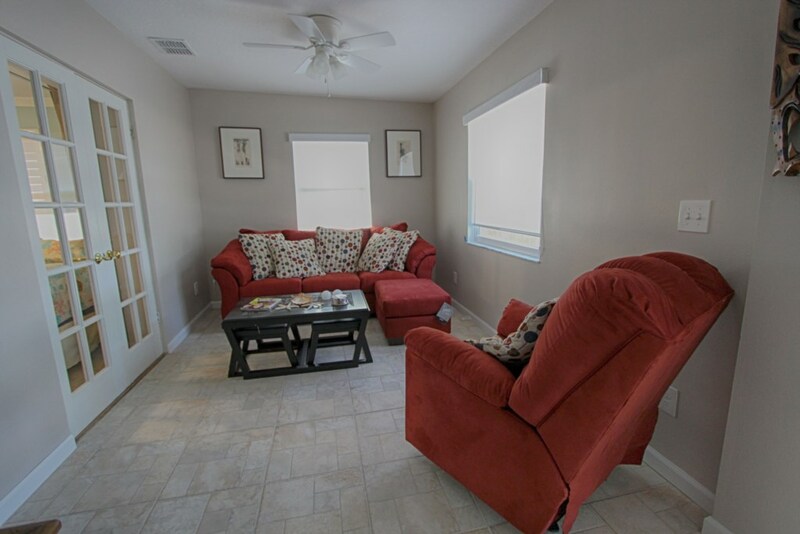 This layout will accommodate 12 guests total. 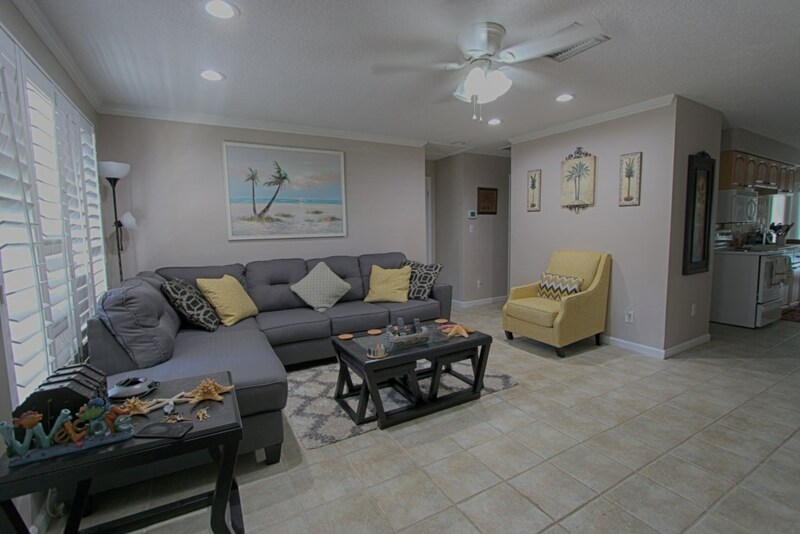 The tastefully decorated living areas are spacious and comfortable for your deserving vacation. 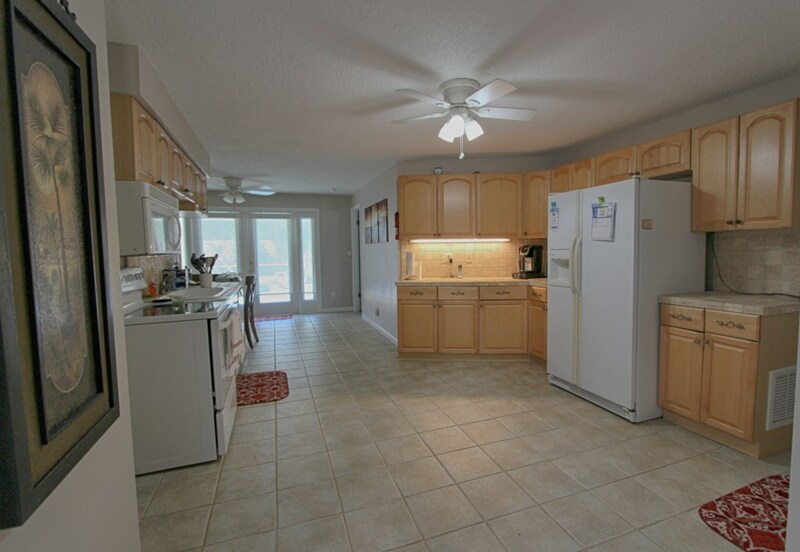 We can offer you a well-stocked kitchen for preparing meals with lots of work space and tiled floor. 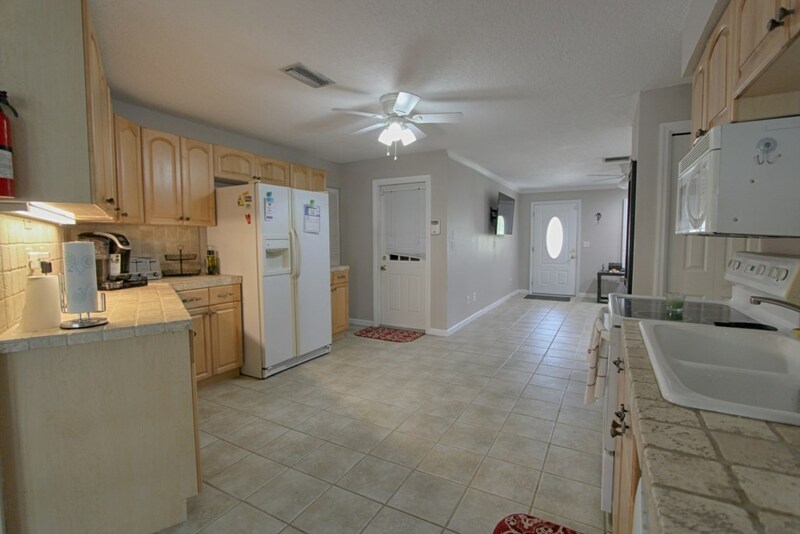 This beach house will give your family plenty of space with 1700 sq ft. 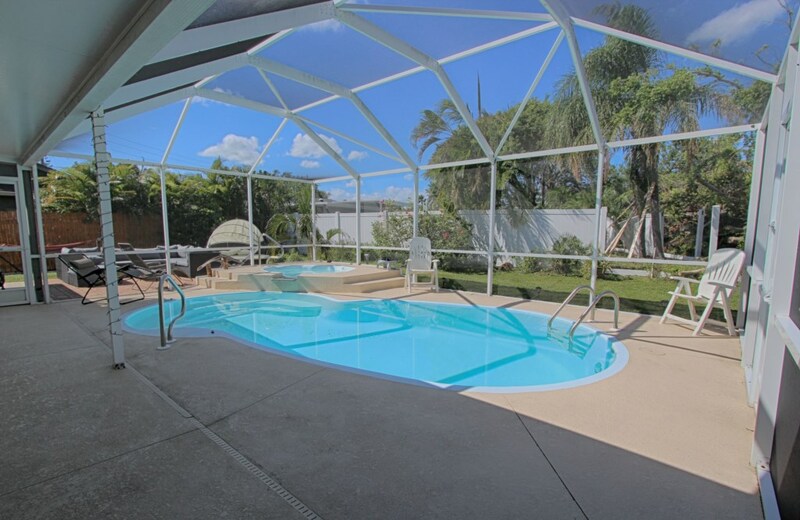 This unique & exciting beach cottage will amaze you with the most awesome amenities such a private pool with a spill over, bikes for an easy ride to the beach, wagon and much more! 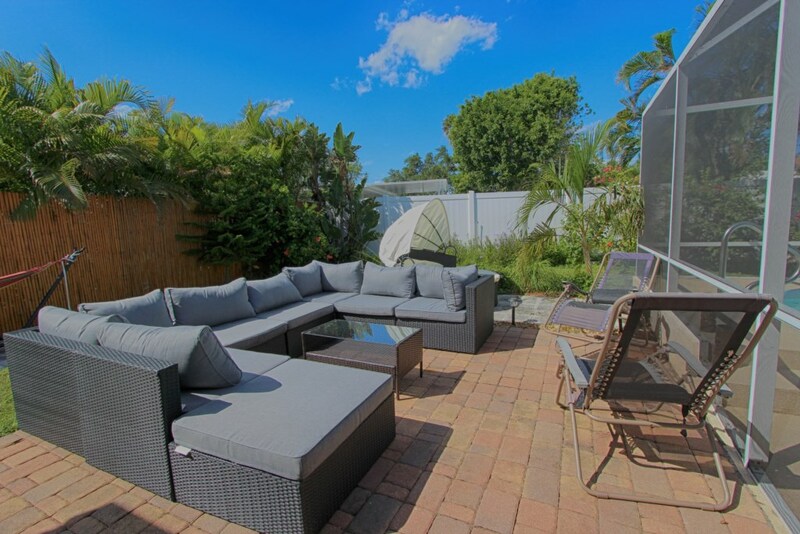 The backyard is like an oasis, very comfortable for families with kids, just unpack, relax, and recharge. 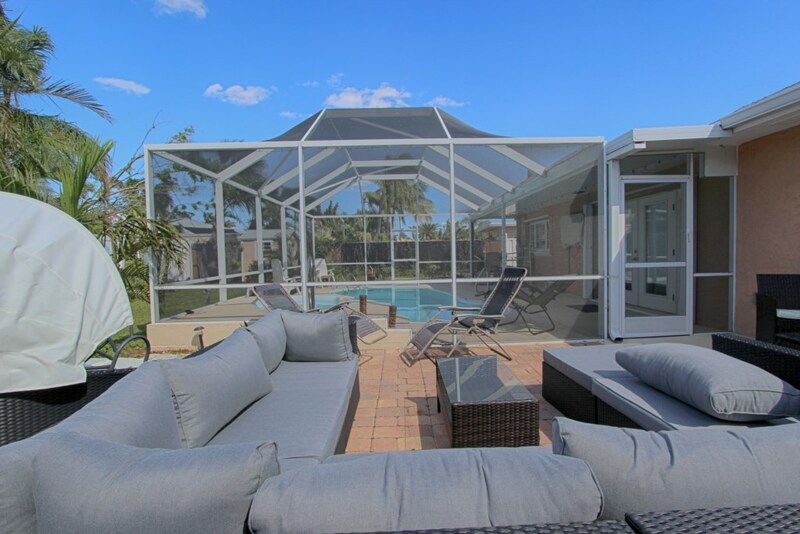 There is ample room for gathering outside as we offer lounge areas by the pool and outside of the screened in pool. 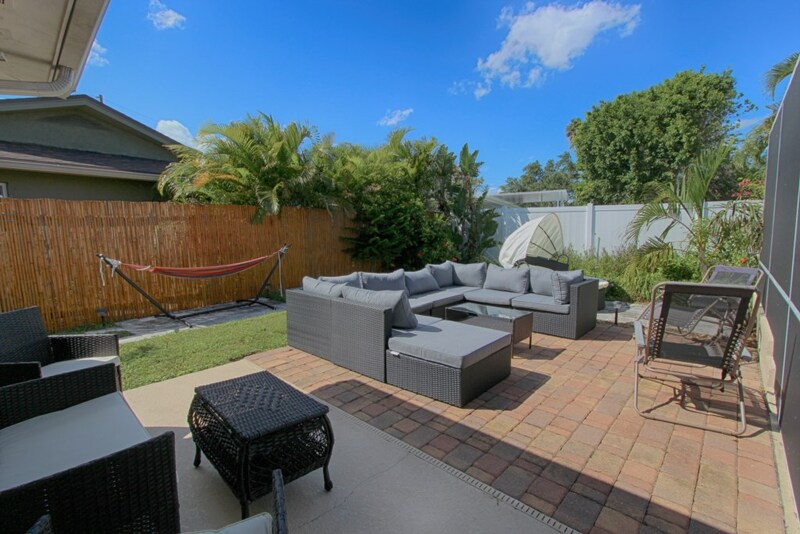 This property is located in Indian Rocks Beach, a great location as its tucked away in the residential area but close enough for shopping, dining and much more! WOW! 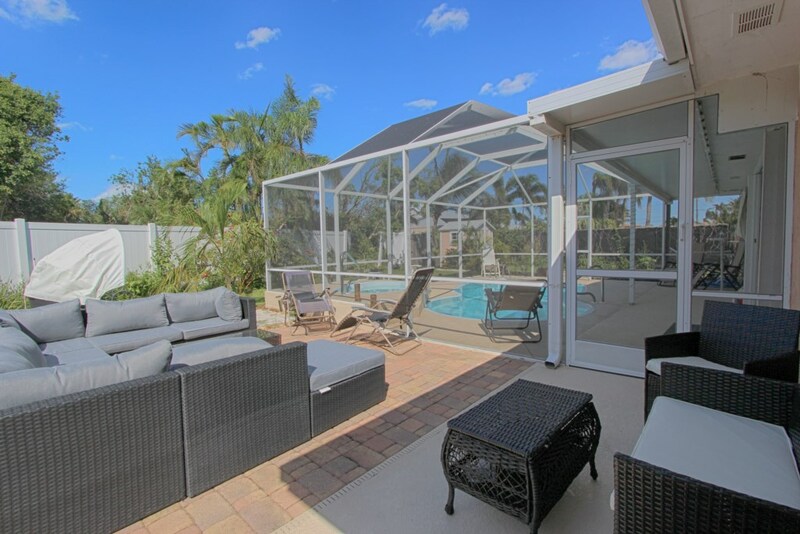 That sums it up…this breathtaking home in Indian Rocks Beach will wow you and your whole family! 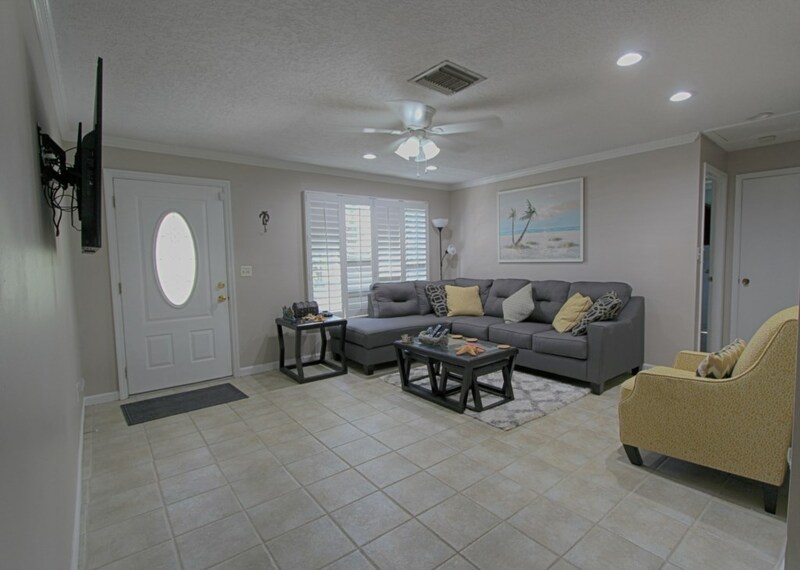 This beautiful beach cottage is located walking distance to Brown Park located on Bay Blvd & 2nd St. Brown Park has tennis courts, playground and a basketball court.